BUTUAN CITY, Nov. 27 (PIA) – The Bangko Sentral ng Pilipinas (BSP) is now ready to serve Caraga region as it inaugurated its new branch here on Wednesday. Chairman of the Monetary Board and Governor of BSP Amando M. Tetangco, Jr. led the cutting of ribbon and unveiling of the BSP Butuan Marker. With him also were other members of the BSP Monetary Board, Butuan City Mayor Ferdinand Amante, Jr., former Congressman Jose Rufino Aquino II. The BSP building was blessed by Most Reverend Juan de Dios Pueblos, Bishop of Butuan City. Also, government agency heads, private individuals, and other invited guests attended the event. Tetangco said that BSP will help advance the economy of Caraga region. "Our banking system is strong and we intend to share BSP's development roadmap to strategically move forward the economy and people of Caraga. There will be bumps & humps ahead of us but we are more prepared to face the challenges. Let us work together to bring prosperity in this region," he said. It was learned that BSP Butuan Branch targeted to replace the ‘used’ currencies in circulation within the region with mint banknotes and coins. In time also with the inauguration was the launching of its Economic and Financial Learning Center (EFLC) where it provides information services, programs and materials to introduce the work of the BSP and its role in economy, and to promote greater understanding of essential economic and financial concepts and issues. “It addresses the information requirements of researchers, students and other visitors, as well as coordinates the conduct of various activities relating to economic and financial information dissemination,” relayed Tetangco. Moreover, the EFL program brings together the outreach and educational activities of the BSP under the flagship program which aims to promote greater awareness and understanding of essential economic financial issues to help the public acquire the knowledge and develop skills needed to make economic & financial decisions. Meanwhile, Butuan City Mayor Ferdinand Amante, Jr. expressed his elation over the milestone event because it is an affirmation that the city is improving economically and that there is enough cash flow in the region to warrant the presence of the Bango Sentral. “This is a great blessing and will help boost investments in the region. With the new BSP branch, protection and security of our financial resources is assured,” Amante said. BSP Butuan is the nineteenth branch in the country and the sixth branch in Mindanao. It will serve 208 banks in Caraga region including 44 banks in Butuan City. To carry out its mandate, BSP focuses on three pillars of strength: Price Stability, Financial Institutions' Stability, and Payments and Settlements System Efficiency. TANDAG CITY, Nov. 27 (PIA) – Surigao del Sur chief agriculturist Marcos Quico has seen efficiency of the new approach to implement scam-free projects. During the conduct of the CY 2016 Plan and Budget Proposal Preparation Workshop of the Department of Agriculture (DA) Caraga Regional Field Office held on November 13-14, 2014 in this province, Quico stressed that proposed local projects for implementation until the first half of 2016 are made sure to be insulated from possible anomalies. He explained that coming up with one must carry the names of legitimate beneficiaries duly registered, at least, with the Securities and Exchange Commission (SEC), Cooperative Development Authority (CDA), or other state institutions with accreditation functions. 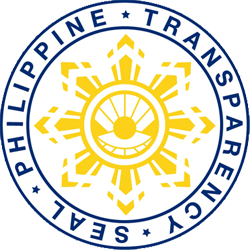 Quico stressed that project proposal will no longer be as “vulnerable” as before that state-funded projects, especially, Priority Development Assistance Fund (PDAF) assisted projects have been doubted scam-free. SURIGAO DEL SUR, Nov. 27 (PIA) – The 2-Day Paralegal Training for the Comprehensive Agrarian Reform Program (CARP) second liner advocates was recently conducted in Barobo, Surigao del Sur wherein around 37 participants composed of Barangay Agrarian Reform Council (BARC) members, barangay officials and agrarian reform beneficiaries (ARBs) coming from various municipalities of this province have joined. The said activity was facilitated by the Department of Agrarian Reform (DAR) provincial office which aimed to strengthen the department’s counterpart as paralegal advisers in the barangay level to respond the issues on agrarian conflict. The paralegal group will identify areas for land acquisition and distribution activities in order to fast track the coverage of potential agricultural lands in their respective areas. TANDAG CITY, Nov. 27 (PIA) – The Department of Agrarian Reform (DAR) provincial office in Surigao del Sur facilitated the Enhancement Training on Audit Management and Internal Control to the 14 agrarian reform beneficiary organizations (ARBOs) held recently in Tandag City. Around 40 participants attended the training who were members of Audit and Inventory Committee from the different ARBOs, namely, Adlay ISF Farmers Multi-Purpose Cooperative; Consuelo Coco farmers and Fisherman Cooperative; Bunga Samahang Nayon Multi-Purpose Cooperative; Esperanza Farmers Marketing Cooperative; Hinapoyan Farmers Multi-Purpose Cooperative; Tabon-tabon Multi-Purpose Cooperative; Maticdum Farmers Multi-Purpose Cooperative; Pandanon Coco Farmers Multi-Purpose Cooperative; Magroyong Farmers Multi-Purpose Cooperative; Kaunlaran sa Libas Sud Multi-Purpose Cooperative; and Bayan Free Farmers Multi-Purpose Cooperative. The said training is a mandatory requirement by the Cooperative Development Authority (CDA) for the renewal of cooperative’s registration. BUTUAN CITY, Nov. 27 (PIA) - In support of this year’s Reading Month celebration, Bit-os Elementary School (ES) conducted its First School-Based Reading Camp last November 19 at Bit-os ES Multi-Purpose Hall with the theme, “Nasa Pagbasa Ang Pag-asa”. This reading endeavor aims to develop the pupils’ appreciation of reading activities as fun, and enjoyable learning experience and to initiate creative activities for the development of the reading skills of pupils as one of the critical roles of the teachers and school administrators. The said activity started with a book parade from the school campus to the community and back to the school campus. Pupils, teachers and parents took part in the parade by bringing books, slogans, and posters. Some pupils displayed their creativity in their book character parade. The main purpose of this activity was to raise the level of awareness of parents as well as the community to value reading and to draw support from them in the quest for a zero non-reader among the pupils. Division Math Coordinator for Secondary Lewellyn V. Mejias inspired the audience in his message that reading should not be done only in the month of November but rather make it a habit to acquire more knowledge and gain wisdom. Mejias also emphasized that reading is not the sole responsibility of the teachers and it must be done as a habit as well. “Teachers cannot eradicate the problem of having pupils who cannot read and comprehend. All of us have a critical role in making our pupils read and comprehend what they are reading. Let’s build a strong partnership in doing this significant role in fighting against illiteracy,” Mejias said. Various activities were done after the short opening program. There were spelling bee for Grade-III, puppet making for Kindergarten pupils, jazz chants for Grade-IV, letter writing and essay writing for Grades-V and VI and film showing. The highlight of the activity was the story telling where the some pupils listened intently to Mr. Noryev Barsobia, the branch manager of East West Rural Bank and Mr. Roger E. Ejoc led the story telling which was held at the e-classroom. After they read stories, questions were asked to the pupils to check their comprehension and listening skills. Simple token was given to those who answered correctly to their questions. TANDAG CITY, Nov. 27 (PIA) – The newly installed Philippine National Police (PNP) Region-13 chief PCSupt David Yalong Ombao had his first command visit and courtesy call to Surigao del Sur Governor Johnny Pimentel. He was accompanied by PSSupt Narciso Verdadero, acting Provincial Director and PSupt Jeffrey Lawrence Mauricio, Tandag City police chief. They had their exchange of pleasantries and discussed future plans and programs. During the program held at the Police Provincial Office (PPO), he made sure to leave a memorable message and conveyed to the men and women in PNP about his thrusts, plans and programs. Ombao emphasized to curb problems on insurgency and criminality, citing in particular the carnapping, illegal logging, and illegal drugs. SURIGAO DEL SUR, Nov. 27 (PIA) – The Department of Agrarian Reform (DAR), together with the Department of Trade and Industry (DTI) in Caraga region, conducted recently in this city the synchronized targeting and planning on the assistance for agrarian cooperatives to be implemented in calendar year 2015. The identified assistance is the distribution of P1M worth of equipment for the processing center for coffee in which the Mabuhay Kahayagan Coffee Growers Cooperatives in the Municipality of Tagbina is the sole recipient for the province of Surigao del Sur. Other agrarian reform beneficiary organizations (ARBOs) who are also grantees for the implementation of the said programs are the following: Taguibo Organic Farmers Association for Sustainable Agriculture of Butuan City; Magkiangkang Multi-Purpose Cooperative (MAMCO) of Agusan del Sur, Garcia Farmers and Fisher-folks Credit Cooperative of Surigao del Norte; Trinidad Farmers Multi-Purpose Cooperative from Surigao City, Honrado Farmers Credit Cooperative of Surigao del Norte; and Libas Multi-Purpose Cooperative of Agusan del Norte. Likewise, free label and package design for food products will also be included. The DAR-DTI partnership is geared towards one goal - to empower reform beneficiaries to be competitive in producing their own products that eventually could match the demands not only in the local but international market. TANDAG CITY, Nov. 27 (PIA) – The Armed Forces of the Philippines (AFP) in Caraga region is not ruling out an intense tactical offense by the New People’s Army (NPA) to mark the 45th anniversary celebration of the Communist Party of the Philippines (CPP) on December 26, this year. Col. Gregory Cayetano, commander of the Army 401st Brigade, also expressed belief that the armed group might likewise mount any terror attack to show to new leaderships of both the army and police that they are yet a force to reckon with. It can be recalled that on September 10, 2014, Major General Oscar Lactao assumed post as new 4th Infantry Division (4ID) commander while on November 4, 2014, PCSupt David Yalong Ombao took over as Caraga PNP chief. However, Cayetano said that it is already “routine” on their part to keep an eye always on any possible terroristic activities that the armed group might carry out especially this time of the year, saying on the other hand, he still hopes for a peaceful Yuletide celebration. BUTUAN CITY, Nov. 27 (PIA) - The total scope of a conducive learning environment lies within the hierarchy of its management. A management that contains the holistic progress of all its aspects that could neither creates nor proves the success of an academe. In which every little thing is incorporated with collaborative effort from the highest to the lowest organizational being. Generally, the highest yet crucial identity - the school head, cultivates the effectiveness and efficiency of the systematical structure he is in. It could somehow be an invigoration of a well-planned work that is applicable to all spectrums in a learner’s life. However, these things bag great roles and responsibilities that need to be compensated for a proper and well-developed umbrella of education. 1. INSTRUCTIONAL SUPERVISION - to improve the quality of teaching and learning in the teacher-student system, the school head should pay regular visits to the different classes in which the teachers are engaged. He should work as an expert source of help through free discussion with them. Since teaching has independent parts like planning, actualizing the plans, describing what was actualized, analyzing what happened and generalizing in the terms of planning, the Principal should work together with the teachers to improve the “learning environment”. 2. SCHOOL MANAGEMENT - at some point, he is tasked to dwell in the arena that touches variety of actions that flow within the school he is in. He needs to check the important documents, details and most especially the learning that the learners acquire from their teachers. Moreover, he has to take charge of his teachers as to their assignment and professional development, the learning resources needed so as to affect better teaching and learning and the like. The management that he should provide must be comprehensive that sees the beauty to be maintained and the discrepancies that need to be improved. 3. SCHOOL COMMUNICATIONS - this domain unveils his critical role in connecting with the external and internal authorities as a means of developing, coordinating and stimulating innovation in order to achieve desired learning outcomes. 4. SCHOOL-COMMUNITY RELATIONS - the school head cannot run the administrative and supervisory machinery of the school without fully conversant with the details of the work of the community councils and PTCA/PTA associations. This is to ensure that there is a collaborative involvement from these significant people as one unified group of people who produce valued results. Hence, the school head’s roles and responsibilities are in the wide perspective that needs to be addressed in order to create a very comprehensive module of learning with a very valuable inculcation of knowledge to every student and pupil that come and go as time goes by. With that, we could probably understand that the critical role of the school head is not just for himself, but most importantly the learning stability to everyone who is involved in maximizing the beauty of a future illustration. I shared a lot of learning to my teachers specifically on the roles and responsibilities of the school head in assuring the delivery of quality basic education for the learners. School heads occupy a very significant place in the umbrella of education. They work hand in hand with the various stakeholders basing on how they can blast off the teaching-learning process. Their roles and responsibilities conceive a lot of spectrum. A spectrum that is led by a magnificent guideline - to transform the traditional culture of running an organization as a complex organization into excellence. This could somehow invigorate the backbone of the teaching-learning process that is governed by the very important person in the said organization-that is the School Head. The roles and responsibilities of the school head are culturally and universally important which enhance the versatility of the over-all school operations, which in turn can significantly affect the teaching-learning process. The four domains of the school heads’ responsibilities give the full picture of why and how a certain “school head” goes within the premise of educational spectrum. That is why school leaders in the 21st century should not be engrossed with the traditional culture of managing a school. She/he must unchain himself from those obsolete practices which are irrelevant and do not meet the current demands of education. AGUSAN DEL SUR, Nob. 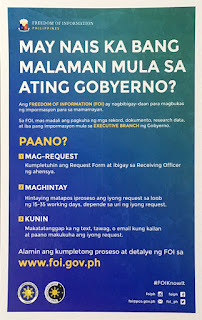 27 - Ang gobyerno ay patuloy na magbibigay ng pantaong proteksyon sa mga maseselang bahagi ng populasyon para mabigyan sila ng pananggalang sa mga epekto ng pagbaba-pagtaas ng presyo ng langis, sabi ng isang opisyal ng Palasyo noong Martes. “Batid naman natin na ang pinakamalaking bahagdan ng ating pambansang budget—higit 37 pursyento—ay nakalaan doon sa social protection para bigyan nga ng tinatawag nating safety nets ang mga pinakamaralita at pinakamahirap sa ating lipunan,” sabi ni Presidential Communications Operations Office Secretary Herminio Coloma, Jr. sa isang panayam sa media sa Malakanyang. Nagbigay kumento siya na ang nangyaring pagbaba ng presyo ng langis ay hindi nagresulta sa pagbaba ng pamasahe at hindi rin nakapagpababa sa presyo ng pagkain. "Iyon ang ginagawa ng pamahalaan sa iba’t ibang larangan, at ang ating mga programang pangkabuhayan at pang-ekonomiya ay nakatutok doon sa mga lalawigan na pinakamataas ang bilang ng mga maralita, ang mabigyan sila ng sapat na hanap-buhay at pagkakakitaan para hindi sila mapariwara," paliwanag ni Secretary Coloma. Binigyang diin niya na kasama sa mga hakbangin na pinaiiralng pamahalaan ay ang “Diskwento Caravan ng Department of Trade and Industry (DTI) at pati na ang Conditional Cash Transfer program ng Department of Social Welfare and Development. “Ang ginagawa ng pamahalaan ay tinitingnan ang sitwasyon ng mga pinakamaralita at nagbibigay nga ng tinatawag na social safety nets. Ginagawa ang nararapat para magkaroon sila ng sapat na kakayahan na makabili ng mga kinakailangan nilang pagkain. Binibigyan din sila ng ayuda sa larangan ng kalusugan, sa larangan ng edukasyon. At kaya nga meron tayong Pantawid Pamilyang Pilipino Program,” sabi niya.